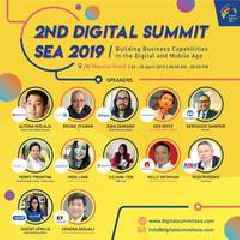 BANGKOK, March 18, 2019 /PRNewswire/ -- In recent weeks, the Digital Economy Promotion Agency (depa) officially signed MoUs with regional giants Willowmore, UnaBiz, Gobi Partners, and Ascent Solutions during February 18-20, 2019 in Singapore. These companies are leaders in building global and regional IoT platforms and solutions, as well as venture investing. This will enable the utilization of innovative platforms and technologies, elevating Thailand to global standards as well as its people's skillsets. (From left to right) The MOU Ceremony was attended by Dr. Monsak Socharoentum, Vice President of depa, Dr. Passakon Prathombutr, Senior Executive Vice President of depa, Mr. CK Lim, CEO of Ascent Solutions, and Mr. Nicholas Chua, Head of Legal Department of Ascent Solutions. Dr. Passakon Prathombutr, Senior Executive Vice President of depa officially signed a Tri-Party MoU with UNITY and Spotwerkz on February 27, 2017 at Amara Bangkok Hotel to promote the exchange of technical know-how and technology exchange for the Digital Park Thailand and IoT Institute under the 'Thailand 4.0' policy. When asked about the signing of the MoUs, Dr. Passakon Prathombutr said, "The official purpose of this trip to Singapore is to meet and exchange ideas, sign and initiate our partnerships with these companies and simultaneously commence work on our government's 'Thailand 4.0 Policy'. depa and our MoU partners have now met to exchange both academic and technical knowledge on new IoT technology, which will be used to spur the economic development of Thailand, as well as stimulate the flow of foreign investment into the country. These partnerships will strengthen and enhance Thailand's resources and help us gain a competitive position in the IoT industry within the ASEAN market. Ultimately, these agreements will improve the lives of the Thai people." *Unity*, is a leading gaming platform, providing professional 3D automotive design, industrial and architectural services as well as film and animation services. This is essential to support digital transformation efforts for SMEs and Manufacturing as well as Thailand's creative industries in film and animation. Moreover,* Spotwerkz* is a big data analytics company, the licensee of Unity in Thailand. *Willowmore Singapore Pte. Ltd.*, an industry leader in enterprise-grade smart padlock, smart cabinet locks, and a pioneer in the world's first-ever portable Sigfox-Bluetooth gateway SigWAV, is all about developing brilliant innovations and providing awesome solutions, from state-of-the-art access control, security systems technology, and IoT gateways. While *Gobi Partners* has a long history of working with government agencies. As part of developing a Matching Fund for this initiative; the firm is looking to invest in local startups from sectors such as AI, Data Analytics, and IoT. Simultaneously, the firm will be providing depa and the Thai government with expertise on funding startups, which should help to further increase the availability of funding for startups in the Thai entrepreneurial ecosystem. depa has also explored investment and development opportunities with *UnaBiz*, Asia's first IoT dedicated network operator in Singapore and Taiwan selling solutions in 28 countries. "Thailand is a key market in ASEAN to develop digital capabilities in the area of industrial automation, agriculture, tourism, education and healthcare," said Henri Bong, CEO and founder of UnaBiz. The MOU covers opportunities such as opening a training centre within the Thailand EEC digital park to explore the development turnkey IoT solutions for Thailand's small-medium enterprises and large companies. *Ascent Solutions*, a Singapore-based IoT company, provides services in various industries such as warehouses, logistics, freight forwarding, intelligent transportation, and e-passport tools with state-of-the-art technologies such as NB-IoT, Satcom, GPRS, and Active and Passive RFID. 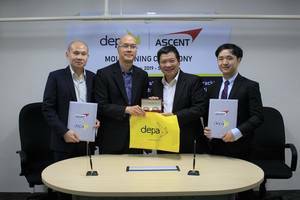 Partnership with depa, Ascent Solutions aims to develop and expand innovative technologies and provide its solutions to the Digital Park Thailand and IoT Institute in the Eastern Economic Corridor (EEC) to increase the potential customer base of various industries with advanced technology that provides solutions and convenience in transportation both local and abroad. Dr. Passakon Prathombutr added, "This official depa MoU signing with the six major companies in Singapore is considerably a continuing progress of integrated development, reinforcing the growth of Thailand's digital economy to international standards as part of 'Thailand 4.0' policy. Given Thailand's goals to enhance digital technology, developing personnel capabilities through partnerships with leading Singapore companies, and its pursuit to exchanging knowledge with partners from many countries, 'Thailand 4.0' policy will be a kick starter to the future generation of Thai digital business operators."